For the most recent games, held in Gold Coast, see 2018 Commonwealth Games. For the next games, to be held in Birmingham, see 2022 Commonwealth Games. The Commonwealth Games are overseen by the Commonwealth Games Federation (CGF), which also controls the sporting programme and selects the host cities. The games movement consists of international sports federations (IFs), Commonwealth Games Associations (CGAs), and organising committees for each specific Commonwealth Games. There are several rituals and symbols, such as the Commonwealth Games flag and Queen's Baton, as well as the opening and closing ceremonies. Over 5,000 athletes compete at the Commonwealth Games in more than 15 different sports and more than 250 events. The first, second, and third-place finishers in each event receive Commonwealth Games medals: gold, silver, and bronze, respectively. Apart from many Olympic sports, the games also include some sports which are played predominantly in Commonwealth countries but which are not part of the Olympic programme, such as lawn bowls, netball and squash. Although there are currently 53 members of the Commonwealth of Nations, 71 teams currently participate in the Commonwealth Games, as a number of dependent territories compete under their own flags. The four Home Nations of the United Kingdom—England, Scotland, Wales, and Northern Ireland—also send separate teams. A sporting competition bringing together the members of the British Empire was first proposed by John Astley Cooper in 1900, when he wrote an article in The Times suggesting a "Pan-Britannic-Pan-Anglican Contest and Festival every four years as a means of increasing goodwill and good understanding of the British Empire". John Astley Cooper Committees were formed worldwide (e.g. Australia) and helped Pierre de Coubertin to get his international Olympic Games off the ground. In 1911, the Festival of the Empire was held at The Crystal Palace in London to celebrate the coronation of George V. As part of the Festival of the Empire, an Inter-Empire Championships were held in which teams from Australia, Canada, South Africa, and the United Kingdom competed in athletics, boxing, wrestling and swimming events. Canada won the championships and was gifted a silver cup which was 2 feet 6 inch high and weighed 340 oz (9.6 kg). It was gifted by Lord Lonsdale. However, the 1911 championships were followed by the first world war which happened from 1914 to 1918. The organisers had lost hopes of hosting such sporting events for the empire athletes. Melville Marks Robinson, who went to the 1928 Summer Olympics in Amsterdam to serve as the manager of the Canadian track and field team, strongly lobbied for the proposal of organising the first British Empire Games in Hamilton in 1930. The 1930 British Empire Games were the first of what later become known as the Commonwealth Games, and were held in Hamilton, in the province of Ontario in Canada from 16–23 August 1930. Eleven countries sent a total of 400 athletes to the Hamilton Games. The opening and closing ceremonies as well as athletics took place at Civic Stadium. The participant nations were Australia, Bermuda, British Guyana, Canada, England, Northern Ireland, Newfoundland, New Zealand, Scotland, South Africa and Wales. The Hamilton Games featured six sports: athletics, boxing, lawn bowls, rowing, swimming and diving and wrestling and ran at a cost of $97,973. Women competed in only the aquatic events. Canadian triple jumper Gordon Smallacombe won the first ever gold medal in the history of the Games. 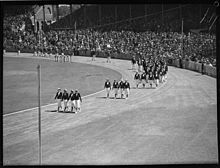 Opening ceremony of the 1938 British Empire Games at the Sydney Cricket Ground. The 1934 British Empire Games were the second of what is now known as the Commonwealth Games, held in London, England. The host city was London, with the main venue at Wembley Park, although the track cycling events were in Manchester. The 1934 Games had originally been awarded to Johannesburg, but were given to London instead because of serious concerns about prejudice against black and Asian athletes in South Africa. Seventeen national teams took part, including the Irish Free State (the only Games in which they did take part) and new participants Hong Kong, India, Jamaica, Southern Rhodesia and Trinidad and Tobago. The 1938 British Empire Games were the third British Empire Games, which were held in Sydney, New South Wales, Australia. They were timed to coincide with Sydney's sesqui-centenary (150 years since the foundation of British settlement in Australia). Held in the southern hemisphere for the first time, the III Games opening ceremony took place at the famed Sydney Cricket Ground in front of 40,000 spectators. Fifteen nations participated down under at the Sydney Games involving a total of 464 athletes and 43 officials. Fiji and Ceylon made their debuts. Seven sports were featured in the Sydney Games – athletics, boxing, cycling, lawn bowls, rowing, swimming and diving and wrestling. The 1950 British Empire Games were the fourth edition and was held in Auckland, New Zealand after a 12-year gap from the third edition of the games. The fourth games were originally awarded to Montreal, Canada and were to be held in 1942 but were cancelled due to the Second World War. The opening ceremony at Eden Park was attended by 40,000 spectators, while nearly 250,000 people attended the Auckland Games. Twelve countries sent a total of 590 athletes to Auckland. Malaya and Nigeria made their first appearances. The fifth edition of the games, the 1954 British Empire and Commonwealth Games, were held in Vancouver, British Columbia, Canada. These were the first games since the name change from British Empire Games took effect in 1952. The fifth edition of the Games placed Vancouver on a world stage and featured memorable sporting moments as well as outstanding entertainment, technical innovation and cultural events. 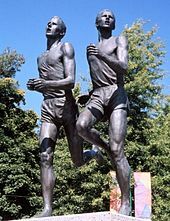 The ‘Miracle Mile’, as it became known, saw both the gold medallist, Roger Bannister of England and silver medallist John Landy of Australia, run sub-four minute races in an event that was televised live across the world for the first time. Northern Rhodesia and Pakistan made their debuts and both performed well, winning eight and six medals respectively. The 1958 British Empire and Commonwealth Games were held in Cardiff, Wales. The sixth edition of the games marked the largest sporting event ever held in Wales and it was the smallest country ever to host a British Empire and Commonwealth Games. Cardiff had to wait 12 years longer than originally scheduled to become host of the Games, as the 1946 event was cancelled because of the Second World War. The Cardiff Games introduced the Queen's Baton Relay, which has been conducted as a prelude to every British Empire and Commonwealth Games ever since. Thirty-five nations sent a total of 1,122 athletes and 228 officials to the Cardiff Games and 23 countries and dependencies won medals, including for the first time, Singapore, Ghana, Kenya and the Isle of Man. The 1962 British Empire and Commonwealth Games were held in Perth, Western Australia, Australia. Thirty-five countries sent a total of 863 athletes and 178 officials to Perth. Jersey was among the medal winners for the first time, while British Honduras, Dominica, Papua and New Guinea and St Lucia all made their inaugural Games appearances. Aden also competed by special invitation. Sarawak, North Borneo and Malaya competed for the last time before taking part in 1966 under the Malaysian flag. In addition, Rhodesia and Nyasaland competed in the Games as an entity for the first and only time. The 1966 British Empire and Commonwealth Games were held in Kingston, Jamaica. This was the first time that the Games had been held outside the so-called White Dominions. Thirty-four nations (including South Arabia) competed in the Kingston Games sending a total of 1,316 athletes and officials. The 1970 British Commonwealth Games were held in Edinburgh, Scotland. This was the first time the name British Commonwealth Games was adopted, the first time metric units rather than imperial units were used in events, the first time the games were held in Scotland and also the first time that HM Queen Elizabeth II attended in her capacity as Head of the Commonwealth. The 1974 British Commonwealth Games were held in Christchurch, New Zealand. The Games were officially named "the friendly games". Following the massacre of Israeli athletes at the 1972 Munich Olympics, the tenth games at Christchurch were the first multi-sport event to place the safety of participants and spectators as its uppermost requirement. Security guards surrounded the athlete’s village and there was an exceptionally high-profile police presence. Only 22 countries succeeded in winning medals from the total haul of 374 medals on offer, but first time winners included Western Samoa, Lesotho and Swaziland. The 1978 Commonwealth Games were held in Edmonton, Alberta, Canada. This event was the first to bear the current day name of the Commonwealth Games and also marked a new high as almost 1,500 athletes from 46 countries took part. They were boycotted by Nigeria in protest of New Zealand's sporting contacts with apartheid-era South Africa, as well as by Uganda in protest of alleged Canadian hostility towards the government of Idi Amin. The 1982 Commonwealth Games were held in Brisbane, Queensland, Australia. Forty-six nations participated in the Brisbane Games with a new record total of 1,583 athletes and 571 officials. As hosts, Australia headed the medal table leading the way ahead of England, Canada, Scotland and New Zealand respectively. Zimbabwe made its first appearance at the Games, having earlier competed as Southern Rhodesia and as part of Rhodesia and Nyasaland. The 1986 Commonwealth Games were held in Edinburgh, Scotland and were the second Games to be held in Edinburgh. Participation at the 1986 Games was affected by a boycott by 32 African, Asian and Caribbean nations in protest of British Prime Minister Margaret Thatcher's refusal to condemn sporting contacts of apartheid era South Africa in 1985, but the Games rebounded and continued to grow thereafter. Twenty-six nations did attend the second Edinburgh Games and sent a total of 1,662 athletes and 461 officials. The 1990 Commonwealth Games were held in Auckland, New Zealand. It was the fourteenth Commonwealth Games, the third to be hosted by New Zealand and Auckland’s second. A new record of 55 nations participated in the second Auckland Games sending 2,826 athletes and officials. Pakistan returned to the Commonwealth in 1989 after withdrawing in 1972, and competed in the 1990 Games after an absence of twenty years. The 1994 Commonwealth Games were held in Victoria, British Columbia, the fourth to take place in Canada. The games marked South Africa's return to the Commonwealth Games following the apartheid era, and over 30 years since the country last competed in the Games in 1958. Namibia made its Commonwealth Games debut. It was also Hong Kong's last appearance at the games before the transfer of sovereignty from Britain to China. Sixty-three nations sent 2,557 athletes and 914 officials. The 1998 Commonwealth Games were held in Kuala Lumpur, Malaysia. For the first time in its 68-year history, the Commonwealth Games were held in Asia. The sixteenth games were also the first Games to feature team sports - an overwhelming success that added large numbers to both participant and TV audience numbers. A new record of 70 countries sent a total of 5,065 athletes and officials to the Kuala Lumpur Games. The top five countries in the medal standing were Australia, England, Canada, Malaysia and South Africa. Nauru also achieved an impressive haul of three gold medals. Cameroon, Mozambique and Kiribati debuted. The 2002 Commonwealth Games were held in Manchester, England. The 2002 Games were hosted in England for the first time since 1934 and hosted to coincide with the Golden Jubilee of Elizabeth II, head of the Commonwealth. In terms of sports and events, the 2002 Games were until the 2010 edition the largest Commonwealth Games in history featuring 281 events across 17 sports. The final medal tally was led by Australia, followed by host England and Canada. The 2002 Commonwealth Games had set a new benchmark for hosting the Commonwealth Games and for cities wishing to bid for them with a heavy emphasis on legacy. 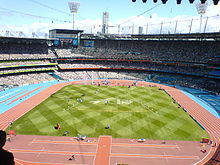 The 2006 Commonwealth Games were held in Melbourne, Victoria, Australia. The only difference between the 2006 games and the 2002 games was the absence of Zimbabwe, which withdrew from the Commonwealth of Nations. For the first time in the history of the Games the Queen's Baton visited every single Commonwealth nation and territory taking part in the Games, a journey of 180,000 km (112,500 miles). Over 4000 athletes took part in the sporting competitions. Again the Top 3 on the medal table is Australia, followed by England and Canada. The 2010 Commonwealth Games were held in Delhi, India. The Games cost $11 billion and are the most expensive Commonwealth Games ever. It was the first time that the Commonwealth Games were held in India, also the first time that a Commonwealth Republic hosted the games and the second time they were held in Asia after Kuala Lumpur, Malaysia in 1998. A total of 6,081 athletes from 71 Commonwealth nations and dependencies competed in 21 sports and 272 events. The final medal tally was led by Australia. The host nation India achieved its best performance ever in any sporting event, finishing second overall. Rwanda made its Games debut. The 2014 Commonwealth Games were held in Glasgow, Scotland. It was the largest multi-sport event ever held in Scotland with around 4,950 athletes from 71 different nations and territories competing in 18 different sports, outranking the 1970 and 1986 Commonwealth Games in Edinburgh, capital city of Scotland. Usain Bolt competed in the 4×100 metres relay of the 2014 Commonwealth Games and set a Commonwealth Games record with his teammates. The Games received acclaim for their organisation, attendance, and the public enthusiasm of the people of Scotland, with Commonwealth Games Federation chief executive Mike Hooper hailing them as "the standout games in the history of the movement". The 2018 Commonwealth Games were held in Gold Coast, Queensland, Australia, the fifth time Australia hosted the Games. There were an equal number of events for men and women, the first time in history that a major multi-sport event had equality in terms of events. The 2022 Commonwealth Games will be held in Birmingham, England. They will be the third Commonwealth Games to be hosted in England following London 1934 and Manchester 2002. The three nations to have hosted the Commonwealth Games the most times are Australia (5), Canada (4) and New Zealand (3). 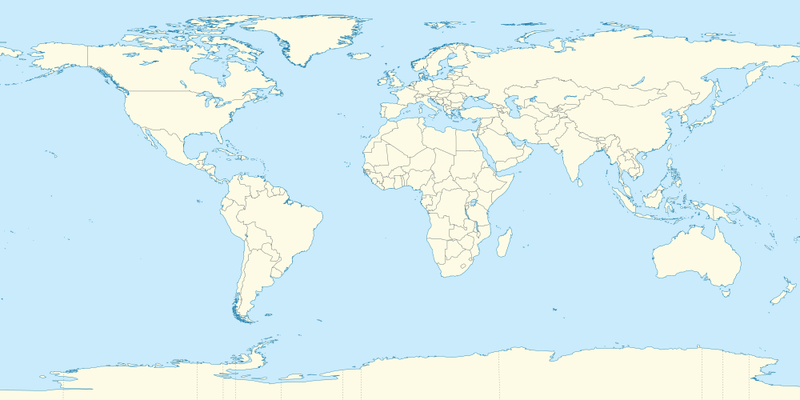 Furthermore, six editions have taken place in the countries within the United Kingdom (Scotland (3), England (2) and Wales (1)), twice in Asia (Malaysia (1) and India (1)) and once in the Caribbean (Jamaica (1)). The Commonwealth Paraplegic Games were an international, multi-sport event involving athletes with a disability from the Commonwealth countries. The event was sometimes referred to as the Paraplegic Empire Games and British Commonwealth Paraplegic Games. Athletes were generally those with spinal injuries or polio. The event was first held in 1962 and disestablished in 1974. The Games were held in the country hosting the Commonwealth Games for able-bodied athletes. 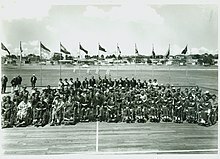 The countries that had hosted the Commonwealth Paraplegic Games were Australia, Jamaica, Scotland and New Zealand in 1962, 1966, 1970 and 1974 respectively. Six countries — Australia, England, New Zealand, Northern Ireland, Scotland and Wales — had been represented at all Commonwealth Paraplegic Games. Australia and England had been the top-ranking nation two times each: 1962, 1974 and 1966, 1970 respectively. Athletes with a disability were then first included in exhibition events at the 1994 Commonwealth Games in Victoria, British Columbia, and, at the 2002 Commonwealth Games in Manchester, England, they were included as full members of their national teams, making them the first fully inclusive international multi-sport games. This meant that results were included in the medal count. During the 2007 General Assembly of the Commonwealth Games Federation (CGF) at Colombo, Sri Lanka, the International Paralympic Committee (IPC) and CGF signed a co-operative agreement to ensure a formal institutional relationship between the two bodies and secure the future participation of elite athletes with a disability (EAD) in future Commonwealth Games. The co-operation agreement outlined the strong partnership between the IPC and the CGF. It recognized the IPC as the organization for overseeing the co-ordination and delivery of the Commonwealth Games EAD sports programme and committed both organizations to work together in supporting the growth of the Paralympic and Commonwealth Games Movements. The Commonwealth Winter Games were a multi-sport event comprising winter sports, last held in 1966. Three editions of the Games have been staged. The Winter Games were designed as a counterbalance to the Commonwealth Games, which focuses on summer sports, to accompany the Winter Olympics and Summer Olympic Games. The winter Games were founded by T.D. Richardson. 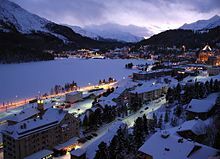 The 1958 Commonwealth Winter Games were held in St. Moritz, Switzerland and was the inaugural games for the winter edition. The 1962 Games were also held in St. Moritz, complementing the 1962 British Empire and Commonwealth Games in Perth, Australia, and the 1966 event was held in St. Moritz as well, following which the idea was discontinued. The Commonwealth Youth Games are an international multi-sport event organized by the Commonwealth Games Federation. The games are held every four years with the current Commonwealth Games format. The Commonwealth Games Federation discussed the idea of a Millennium Commonwealth Youth Games in 1997. In 1998 the concept was agreed on for the purpose of providing a Commonwealth multi-sport event for young people born in the calendar year 1986 or later. The first version was held in Edinburgh, Scotland from 10 to 14 August 2000. The age limitation of the athletes is 14 to 18. The Commonwealth Games Federation (CGF) is the international organisation responsible for the direction and control of the Commonwealth Games and Commonwealth Youth Games, and is the foremost authority in matters relating to the games. The Commonwealth House in London, United Kingdom hosts the headquarters of CGF. The Commonwealth House also hosts the headquarters of the Royal Commonwealth Society and the Commonwealth Local Government Forum. International Federations (IFs) are the governing bodies that supervise a sport at an international level. For example, the International Basketball Federation (FIBA) is the international governing body for basketball. Commonwealth Games Associations (CGAs) represent and regulate the Commonwealth Games Movement within each country. For example, the Commonwealth Games England (CGE) is the CGA of England. There are currently 70 CGAs recognised by the CGF. Organising Committees for the Commonwealth Games (OCCWGs) are temporary committees responsible for the organisation of each Commonwealth Games. OCCWGs are dissolved after each Games once the final report is delivered to the CGF. English is the official language of the Commonwealth. The other language used at each Commonwealth Games is the language of the host country (or languages, if a country has more than one official language apart from English). Every proclamation (such as the announcement of each country during the parade of nations in the opening ceremony) is spoken in these two (or more) languages, or the main depending on whether the host country is an English speaking country. The Queen's Baton Relay, is a relay around the world held prior to the beginning of the Commonwealth Games. The Baton carries a message from the Head of the Commonwealth, currently Queen Elizabeth II. The Relay traditionally begins at Buckingham Palace in London as a part of the city's Commonwealth Day festivities. The Queen entrusts the baton to the first relay runner. At the Opening Ceremony of the Games, the final relay runner hands the baton back to the Queen or her representative, who reads the message aloud to officially open the Games. The Queen's Baton Relay is similar to the Olympic Torch Relay. The Relay was introduced at the 1958 British Empire and Commonwealth Games in Cardiff, Wales. Up until, and including, the 1994 Games, the Relay only went through England and the host nation. The Relay for the 1998 Games in Kuala Lumpur, Malaysia was the first to travel to other nations of the Commonwealth. The Gold Coast 2018 Queen’s Baton Relay was the longest in Commonwealth Games history. Covering 230,000 km over 388 days, the Baton made its way through the six Commonwealth regions of Africa, the Americas, the Caribbean, Europe, Asia and Oceania. For the first time, the Queen's Baton was presented at the Commonwealth Youth Games during its sixth edition in 2017 which were held in Nassau, Bahamas. Various elements frame the opening ceremony of the Commonwealth Games. This ceremony takes place before the events have occurred. The ceremony typically starts with the hoisting of the host country's flag and a performance of its national anthem. The flag of the Commonwealth Games Federation, flag of the last hosting nation and the next hosting nation are also hosted during the opening ceremony. The host nation then presents artistic displays of music, singing, dance and theatre representative of its culture. The artistic presentations have grown in scale and complexity as successive hosts attempt to provide a ceremony that outlasts its predecessor's in terms of memorability. The opening ceremony of the Delhi Games reportedly cost $70 million, with much of the cost incurred in the artistic segment. After the artistic portion of the ceremony, the athletes parade into the stadium grouped by nation. The last hosting nation is traditionally the first nation to enter. Nations then enter the stadium alphabetical or continental wise with the host country's athletes being the last to enter. Speeches are given, formally opening the Games. Finally, the Queen's Baton is brought into the stadium and passed on until it reaches the final baton carrier, often a successful Commonwealth athlete from the host nation, who hands it over to the Head of the Commonwealth or her representative. The closing ceremony of the Commonwealth Games takes place after all sporting events have concluded. Flag-bearers from each participating country enter the stadium, followed by the athletes who enter together, without any national distinction. The president of the organizing committee and the CGF president make their closing speeches and the Games are officially closed. The CGF president also speaks about the conduct of the games. The mayor of the city that organized the Games transfers the CGF flag to the president of the CGF, who then passes it on to the mayor of the city hosting the next Commonwealth Games. The next host nation then also briefly introduces itself with artistic displays of dance and theater representative of its culture. Many great artists and singers had performed at the ceremonies of the Commonwealth Games. At the closing ceremony of every Commonwealth Games the CGF President makes an award and presents a trophy to one athlete who has competed with particular distinction and honour both in terms of athletic performance and overall contribution to his or her team. Athletes are nominated by their Commonwealth Games Association at the end of the final day of competition and the winner is selected by a panel comprising the CGF President and representatives from each of the six Commonwealth Regions. The ‘David Dixon Award’ as it is called was introduced in Manchester 2002, after the late David Dixon, former Honorary Secretary of the CGF, in honour of his monumental contribution to Commonwealth sport for many years. A medal ceremony is held after each event is concluded. The winner, second and third-place competitors or teams stand on top of a three-tiered rostrum to be awarded their respective medals. After the medals are given out by a CGF member, the national flags of the three medallists are raised while the national anthem of the gold medallist's country plays. Volunteering citizens of the host country also act as hosts during the medal ceremonies, as they aid the officials who present the medals and act as flag-bearers. Note: The 1911 Inter-Empire Championships held in London is seen as a precursor to the modern Commonwealth Games, but is not normally considered an official edition of the Games themselves. Also, the United Kingdom competed as one country, unlike the Commonwealth Games today when they compete as England, Wales, Scotland and Northern Ireland. Canada topped the medal table by winning 4 events. Below is a Top 10 all-time medal table. There are a total of 22 sports (with three multi-disciplinary sports) and a further seven para-sports which are approved by the Commonwealth Games Federation. Core sports must be included on each programme. A number of optional sports may be picked by the host nation, which may include some team sports such as basketball. In 2015, the Commonwealth Games Federation agreed large changes to the programme which increased the number of core sports, whilst removing a number of optionals, those removed are listed below. Recognised sports are sports which have been approved by the Commonwealth Games Federation but which are deemed to need expansion; host nations may not pick these sports for their programme until the Federation's requirements are fulfilled. Only six teams have attended every Commonwealth Games: Australia, Canada, England, New Zealand, Scotland and Wales. Australia has been the highest scoring team for thirteen games, England for seven and Canada for one. ^ Aden later joined South Arabia in 1963 and departed the Commonwealth in 1968. ^ Anguilla was completely separated from Saint Christopher-Nevis-Anguilla in 1980 and remaining Saint Kitts and Nevis became independent from the United Kingdom in 1983. ^ British Guiana was renamed Guyana in 1966. ^ British Honduras was renamed Belize in 1973. ^ Ceylon was renamed Sri Lanka in 1972. ^ Fiji was re-suspended from the Commonwealth and Games in 2009. Fiji's suspension from the Commonwealth was lifted in time for the 2014 Games following democratic elections in March, 2014. ^ The Gambia withdrew from the Commonwealth in 2013, but rejoined on 8 February 2018; The Gambia was readmitted to the Commonwealth Games Federation in March 2018. ^ Gold Coast (British colony) was renamed Ghana in 1957. ^ Hong Kong was never a Commonwealth member but was a territory of a Commonwealth country; it ceased to be in the Commonwealth when the territory was handed over to China in 1997. ^ Ireland was represented as a single team from the whole of the island in 1930, and by two teams, representing the Irish Free State, and Northern Ireland in 1934. The Irish Free State was officially renamed Éire in 1937 but did not participate in the 1938 Games, and withdrew from the Commonwealth when it unilaterally declared that it was the Republic of Ireland on 18 April 1948. ^ Contemporary illustrations show Green Flag used for the Irish team. ^ Malaya, North Borneo, Sarawak and Singapore federated as Malaysia in 1963. Singapore left the federation in 1965. ^ The Maldives withdrew from the Commonwealth in 2016. ^ Newfoundland joined Canada in 1949. ^ The Ulster Banner was the flag of the former Government of Northern Ireland only between 1953 and 1972, but the flag has been regarded as flag of Northern Ireland since 1924 among unionists and loyalists. The Ulster Banner is the sporting flag of Northern Ireland in other events as the FIFA World Cup and in the FIVB Volleyball World Championship. ^ Southern Rhodesia and Northern Rhodesia federated with Nyasaland in 1953 as Rhodesia and Nyasaland, which dissolved at the end of 1963. ^ Southern Rhodesia and Northern Rhodesia competed separately in 1954 and 1958 while both were part of the Federation of Rhodesia and Nyasaland. ^ Under the name of "Saint Helena" in the Commonwealth Games. Ascension Island and Tristan da Cunha were dependencies of Saint Helena, so the territory was officially called "Saint Helena and Dependencies" until 2009. Saint Helena, Ascension Island and Tristan da Cunha became equal parts of Saint Helena, Ascension and Tristan da Cunha in 2009. ^ Western Samoa was renamed Samoa in 1997. ^ Zanzibar and Tanganyika federated to form Tanzania in 1964. ^ Zimbabwe withdrew from the Commonwealth in 2003. ^ United Kingdom were the host of the Inter-Empire Championships in 1911. This event was held before the 1st edition of the Games held in Hamilton, Canada in 1930. Ascension Island and Tristan da Cunha, former dependencies of Saint Helena and current parts of the British Overseas Territory of Saint Helena, Ascension and Tristan da Cunha, have never formed their own teams independent from the Saint Helena team. Other states, territories and territorial autonomies with native populations within the Commonwealth that may be eligible include Christmas Island and the Cocos (Keeling) Islands (territories of Australia), Nevis (a federal entity of the Federation of Saint Kitts and Nevis), Rodrigues (outer islands of Mauritius), and Zanzibar (a semi-autonomous part of Tanzania). Cornwall, represented by the Cornwall Commonwealth Games Association (CCGA), sent a bid for participation in the 2006 Commonwealth Games, however, their application was rejected by the CGF, who stated that the constitutional status of Cornwall was not an issue that should be resolved through this medium. However, in 2010, the CCGA sought to launch a legal challenge to the decision of the CGF, stating that the Cornish bid of 2006 fulfilled the entire criterion of the CGF, and by rejecting the bid, the CGF had violated their own code, failing to follow their own criteria for participation. The Cornwall team will therefore seek competition in the 2014 games. The British Indian Ocean Territory currently has no permanent population although there is a sizeable population who were born in the BIOT but currently live in Mauritius and the United Kingdom and so would be eligible to compete on birth criteria. Turkish Republic of Northern Cyprus has made applications to the CGF to send teams. It is also conceivable that any future members of the Commonwealth such as applicants (for example South Sudan, Sudan and Yemen) may participate in future games. The Colony of Aden and Federation of South Arabia, precursors to modern Yemen, participated before in 1962 and in 1966. Sudan was an Anglo-Egyptian protectorate until independence in 1956. The Pitcairn Islands' tiny population (currently 50 to 60 people) would appear to prevent this British overseas territory from competing. Tokelau was expected to take part in the 2010 Games in Delhi but did not do so. The lack of a permanent population would seem to prevent the British overseas territories of South Georgia and the South Sandwich Islands and British Antarctic Territory, the New Zealand territory of Ross Dependency and the Australian external territories of Australian Antarctic Territory, Ashmore and Cartier Islands, Coral Sea Islands and Heard Island and McDonald Islands from competing. The 1934 British Empire Games, originally awarded in 1930 to Johannesburg was moved to London after South Africa's pre-apartheid government refused to allow nonwhite participants. The 2022 Commonwealth Games were originally awarded to Durban on 2 September 2015, at the CGF General Assembly in Auckland. It was reported in February 2017 that Durban may be unable to host the games due to financial constraints. On 13 March 2017, the CGF stripped Durban of their rights to host and reopened the bidding process for the 2022 games. Many cities from Australia, Canada, England and Malaysia expressed interest to host the games. However, the CGF received only one official bid and that was from Birmingham, England. On 21 December 2017, Birmingham was awarded for the 2022 Games as Durban's replacement host. Nigeria boycotted the 1978 Commonwealth Games at Edmonton in protest of New Zealand's sporting contacts with apartheid-era South Africa. Uganda also stayed away, in protest of alleged Canadian hostility towards the government of Idi Amin. During the 1986 Commonwealth Games at Edinburgh, a majority of the Commonwealth nations staged a boycott, so that the Games appeared to be a whites-only event. Thirty two of the eligible fifty nine countries—largely African, Asian and Caribbean states—stayed away because of the Thatcher government's policy of keeping Britain's sporting links with apartheid South Africa in preference to participating in the general sporting boycott of that country. Consequently, Edinburgh 1986 witnessed the lowest number of athletes since Auckland 1950. The boycotting nations were Antigua and Barbuda, Barbados, Bahamas, Bangladesh, Bermuda, Belize, Cyprus, Dominica, Gambia, Ghana, Guyana, Grenada, India, Jamaica, Kenya, Malaysia, Nigeria, Pakistan, Papua New Guinea, Solomon Islands, Sri Lanka, St. Vincent and the Grenadines, Sierra Leone, St. Kitts and Nevis, St. Lucia, Mauritius, Trinidad and Tobago, Tanzania, Turks and Caicos Islands, Uganda, Zambia and Zimbabwe. Bermuda was a particularly late withdrawal, as its athletes appeared in the opening ceremony and in the opening day of competition before the Bermuda Olympic Association decided to formally withdraw. The estimated cost of the 2010 Commonwealth Games in Delhi were US$11 billion, according to Business Today magazine. The initial total budget estimated by the Indian Olympic Association in 2003 was US$250 million. In 2010, however, the official total budget soon escalated to an estimated US$1.8 billion, a figure which excluded non-sports-related infrastructure development. The 2010 Commonwealth Games are reportedly the most expensive Commonwealth Games ever. Lawn bowler Willie Wood from Scotland was the first competitor to have competed in seven Commonwealth Games, from 1974 to 2002, a record equalled in 2014 by Isle of Man cyclist Andrew Roche. They have both been surpassed by David Calvert of Northern Ireland who in 2018 attended his 11th games. Greg Yelavich, a sports shooter from New Zealand, has won 12 medals in seven games from 1986 to 2010. Lawn Bowler Robert Weale has represented Wales in 8 Commonwealth Games, 1986–2014, winning 2 gold, 3 silver and 1 bronze. Nauruan weightlifter Marcus Stephen won twelve medals at the Games between 1990 and 2002, of which seven gold, and was elected President of Nauru in 2007. His performance has helped place Nauru (the smallest independent state in the Commonwealth, at 21 km2 and with a population of fewer than 9,400 in 2011) in nineteenth place on the all-time Commonwealth Games medal table. Ian Thorpe, Australian swimmer (now retired), has won 10 Commonwealth Games gold medals and 1 silver medal. At the 1998 Commonwealth Games in Kuala Lumpur, he won 4 gold medals. At the 2002 Commonwealth Games in Manchester, he won 6 gold medals and 1 silver medal. Chad le Clos, South Africa’s most decorated swimmer, has won 17 medals from just three Commonwealth Games (2010, 2014 & 2018), seven of which are gold. At the 2018 Commonwealth Games in Gold Coast, he won three golds, a silver and a bronze. ^ a b "Commonwealth Games Federation - The Story of The Commonwealth Games". thecgf.com. Retrieved 28 April 2017. ^ "CGF announces Gold Coast 2018 will be the most gender equal major multi-sports event in history". Commonwealth Games Federation. Retrieved 20 April 2018. ^ a b Jamie Bradburn (21 July 2015). "The British Empire Games of 1930". Torontoist.com. Retrieved 30 August 2017. ^ "The Commonwealth Winter Games: Who Knew?". cabinetroom. 5 February 2014. Retrieved 10 May 2018. ^ "Commonwealth Paraplegic Games". www.disabilitysport.org.uk. Retrieved 10 May 2018. ^ "First Commonwealth Games | The Commonwealth". thecommonwealth.org. Retrieved 10 May 2018. ^ Harold, Perkin (September 1989). "Teaching the nations how to play: sport and society in the British Empire and Commonwealth". International Journal of the History of Sport. 6 (2): 145–155. doi:10.1080/09523368908713685. ^ Arnd Krüger (1986): War John Astley Cooper der Erfinder der modernen Olympischen Spiele? In: LOUIS BURGENER u. a. (Hrsg. ): Sport und Kultur, Bd. 6. Bern: Lang, 72 - 81. ^ "Hamilton 1930". Commonwealth Games Federation. Retrieved 12 April 2018. ^ "London 1934". Commonwealth Games Federation. Retrieved 12 April 2018. ^ "Sydney 1938". Commonwealth Games Federation. Retrieved 12 April 2018. ^ "Auckland 1950". Commonwealth Games Federation. Retrieved 12 April 2018. ^ "Vancouver 1954". Commonwealth Games Federation. Retrieved 12 April 2018. ^ "Cardiff 1958". Commonwealth Games Federation. Retrieved 12 April 2018. ^ "Perth 1962". Commonwealth Games Federation. Retrieved 12 April 2018. ^ "Kingston 1966". Commonwealth Games Federation. Retrieved 12 April 2018. ^ "Edinburgh 1970". Commonwealth Games Federation. Retrieved 12 April 2018. ^ "Christchurch 1974". Commonwealth Games Federation. Retrieved 12 April 2018. ^ a b Donald Macintosh; Michael Hawes; Donna Ruth Greenhorn; David Ross Black (5 April 1994). Sport and Canadian Diplomacy. McGill-Queen's Press - MQUP. pp. 81–. ISBN 978-0-7735-1161-3. ^ "Edmonton 1978". Commonwealth Games Federation. Retrieved 12 April 2018. ^ "Brisbane 1982". Commonwealth Games Federation. Retrieved 12 April 2018. ^ "Edinburgh 1986". Commonwealth Games Federation. Retrieved 12 April 2018. ^ "Auckland 1990". Commonwealth Games Federation. Retrieved 12 April 2018. ^ "Pakistan". thecgf.com. Archived from the original on 15 June 2017. Retrieved 12 June 2017. ^ "Victoria 1994". Commonwealth Games Federation. Retrieved 12 April 2018. ^ "Kuala Lumpur 1998". Commonwealth Games Federation. Retrieved 12 April 2018. ^ "Manchester 2002". Commonwealth Games Federation. Retrieved 12 April 2018. ^ "Melbourne 2006". Commonwealth Games Federation. Retrieved 12 April 2018. ^ "Delhi 2010". Commonwealth Games Federation. Retrieved 12 April 2018. ^ "Rwanda". www.thecgf.com. Archived from the original on 30 November 2010. Retrieved 12 June 2017. ^ "Usain Bolt: Glasgow 2014 gold for Jamaica in 4x100m relay". BBC Sport. 2 August 2014. Retrieved 28 April 2017. ^ "Glasgow 2014". Commonwealth Games Federation. Retrieved 12 April 2018. ^ "Gold Coast 2018 to offer same amount of medals for men and women after seven events added". Retrieved 28 April 2017. ^ "Gold Coast 2018". Commonwealth Games Federation. Retrieved 12 April 2018. ^ "Birmingham 2022". Commonwealth Games Federation. Retrieved 12 April 2018. ^ DePauw, Karen P; Gavron, Susan J (2005). Disability sport. Human Kinetics. pp. 102–. ISBN 978-0-7360-4638-1. Retrieved 25 February 2012. ^ Van Ooyen and Justin Anjema, Mark; Anjema, Justin (25 March 2004). "A Review and Interpretation of the Events of the 1994 Commonwealth Games" (PDF). Redeemer University College. Archived from the original (PDF) on 31 July 2013. Retrieved 25 February 2012. ^ "Para-sports for elite athletes with a disability". Commonwealth Games Federation website. Archived from the original on 30 November 2010. Retrieved 25 February 2012. ^ "IPC and CGF Sign Co-operative Agreement". www.paralympic.org. Retrieved 4 September 2017. ^ "Commonwealth Youth Games - About the Games". bendigo2004.thecgf.com. Retrieved 4 September 2017. ^ "Commonwealth Games Federation - The Role of The CGF". thecgf.com. Retrieved 22 August 2017. ^ "Contact Information". Commonwealth Games Federation. Retrieved 10 May 2018. ^ "Contact | Royal Commonwealth Society". thercs.org. Retrieved 10 May 2018. ^ "Contact us - CLGF". www.clgf.org.uk. Retrieved 10 May 2018. ^ "Commonwealth Games Federation - Sports Contacts". thecgf.com. Retrieved 7 September 2017. ^ "Commonwealth Games Federation - CGA Contacts". thecgf.com. Retrieved 7 September 2017. ^ "Queen's Baton Relay: The tradition continues..." Melbourne 2006 Commonwealth Games Corporation. Archived from the original on 11 February 2007. Retrieved 15 February 2007. ^ "Design and route for Gold Coast 2018 Queen's Baton Relay revealed". 20 November 2016. Retrieved 7 September 2017. ^ "The CWG opening show reality: Rs 350 crore". Times of India Blog. Retrieved 21 August 2017. ^ "Commonwealth Games Federation - Oath & Award". thecgf.com. Retrieved 27 August 2017. ^ "Inter-Empire Championships". Auckland Star. 4 August 1911. p. 7. Retrieved 10 March 2018. ^ a b c d "Elite Athletes With A Disability (EAD)". Commonwealth Sports. Commonwealth Games Federation. Archived from the original on 28 February 2018. ^ a b c d e f g h i j k "Sports Programme". Commonwealth Sports. Commonwealth Games Federation. Archived from the original on 28 February 2018. ^ Avison, Ben (2 April 2015). "Commonwealth Games transformed to attract aspiring cities". ^ "Canoeing closer to being a full-medal event". Commonwealthdelhi2010.blogspot.com. 11 June 2010. Retrieved 26 October 2011. ^ Sports Programme Archived 2 May 2013 at the Wayback Machine. Commonwealth Games Federation. Retrieved on 4 June 2016. ^ "Fiji suspended from Commonwealth". The New Zealand Herald. 2 September 2009. Retrieved 25 September 2011. ^ "Commonwealth Games Federation - Commonwealth Countries". Archived from the original on 2 May 2013. Retrieved 10 April 2013. ^ ""The future of the modern Commonwealth: Widening vs. deepening?". Commonwealth Policy Studies Unit. Archived from the original (doc) on 23 July 2011". Archived from the original on 23 July 2011. ^ "Commonwealth Games Non-Participating Countries". www.topendsports.com. Retrieved 20 April 2018. ^ "Campaign Kernow". Campaign Kernow. Retrieved 26 October 2011. ^ "Commonwealth Games: Durban confirmed as 2022 host city". BBC Sport. 2 September 2015. Retrieved 5 February 2018. ^ "Commonwealth Games: Durban, South Africa will not host Games in 2022". BBC Sport. 13 March 2017. Retrieved 5 February 2018. ^ "Commonwealth Games 2022: Birmingham only bidder for event". BBC Sport. 30 September 2017. Retrieved 5 February 2018. ^ Kelner, Martha (21 December 2017). "Birmingham officially named as 2022 Commonwealth Games host city". the Guardian. Retrieved 5 February 2018. ^ "Commonwealth Games Federation - 1978 Commonwealth Games - Introduction". www.thecgf.com. Archived from the original on 14 April 2017. Retrieved 6 May 2017. ^ "Scottish independence referendum will increase interest in Glasgow 2014, it is claimed | Glasgow 2014". insidethegames.biz. 29 February 2012. Retrieved 9 August 2012. ^ Reuters, From (20 July 1986). "8 More Nations Join Boycott of Commonwealth Games; Total Now 23". Los Angeles Times. ISSN 0458-3035. Retrieved 23 August 2017. ^ Fraser, Graham (25 April 2014). "Glasgow 2014: The Bermuda boycott of 1986 that still hurts". BBC Sport. Retrieved 2 November 2014. ^ Press, Associated (25 April 2011). "Delhi Commonwealth Games organiser arrested in corruption investigation". the Guardian. Retrieved 8 July 2016. ^ Ravi Shankar; Mihir Srivastava (7 August 2010). "Payoffs & bribes cast a shadow on CWG: Sport : India Today". India Today. Archived from the original on 10 July 2012. Retrieved 3 October 2010. ^ "Glasgow 2014: Mark Cavendish relishes idea of racing with mates". BBC Sport. 10 May 2014. Retrieved 10 May 2014. ^ "Commonwealth Games: TeamNI announced for Gold Coast 2018". Portadown Times. 3 January 2018. Retrieved 4 January 2018. ^ "Commonwealth Games Federation - Inspiring Athletes - Commonwealth Legend". thecgf.com. Retrieved 27 August 2017. ^ "About Me - Chad Le Clos". Chad Le Clos. Retrieved 16 April 2018. "Commonwealth Games". Encyclopædia Britannica Online.